There are so many things to do, you barely have enough time to order your thoughts, how can you possibly be able to organize and tackle your goals with a racing mind?’ Feels like a familiar thought I am sure. In this article we’ll discuss key questions when approaching a task which will inshaAllah untangle, simplify and help accomplish your objectives. 1) For who am I doing it? This is a distinctive mark of a Muslim, thousands of people from different faiths do good deeds, some of them volunteer and are active in a community more than any of us have ever been, yet whom are they doing it for? All those deeds will be in vain unless it was done for Allah (Subhanahu Wa Ta’ala). 2) Why am I doing it? Allah doesn’t need our good deeds, but we need his forgiveness and rewards. It’s an honour for a Muslim to perform an action to please Him. The Prophet (peace and blessings be upon him) was narrated as saying: ”If a man spends on his family (with the intention of having a reward from Allah) sincerely for Allah’s sake then it is a (kind of) alms-giving in reward for him” (Sahih Muslim). 3) Is this the best way to make use of my time? 4) How much time am I willing to spend on this task? This is very important. You need to decide how much time you are willing to focus on nothing else but the task at hand. If the task you’re about to do is necessary but hard or not particularly pleasant, set up a minimum amount of time you commit to work on it using some of the tools recommended by ProductiveMuslim.com before such as Freedom or RescueTime , even if it’s only 20 minutes. What will usually happen is that when the 20 minutes pass you will have gained enough momentum to keep on doing the job. If you decide to stop at the decided time though, you will still feel you have done something useful and won’t feel bad. If, instead, you enjoy your task, set for yourself a maximum amount of time, so as not to ignore other tasks that you need to achieve that day. 5) Is this the most important thing a need to do today? Make sure that what you spend time and effort on first is the most important thing you should be doing. Sometimes we are careful to accomplish so beautifully a task that didn’t need to be done in the first place! If you keep to-do lists, it is beneficial to order them or categorize them in terms of priority. 6) Is there a more efficient way to get it done? Be sure you know the best ways to accomplish the job; observe, be informed and look out for different techniques, helpful strategies or smarter choices to complete it. And remember, don’t get caught up with unrealistic perfectionism nor complicate your life; simplicity is usually the best weapon. 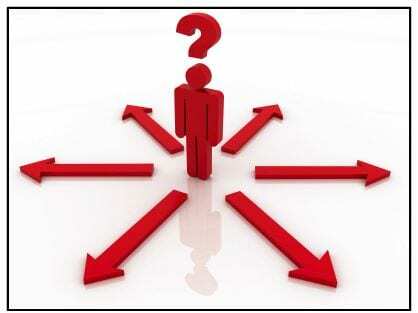 7) Do I know what to do or whom to consult if I experience difficulties? Have a preplanned strategy or rituals for the times you feel you’re stuck. Take a break, make ablution and pray two raka’at, completely forgetting about the problem. Take a walk, even if just to take a glass of water, simply close your eyes for ten minutes. Doing some dhikr and taking deep breaths could also help you relax and refocus. Seek Allah’s help to ease your task through dua and consult with people who are knowledgeable on the subject, someone who has encountered the same problems and has overcome them. Research or register on a forum that deals with your targeted goal and ask for help, you’ll often find on the internet that someone else has had a shared experience that will help you or even the answer! 8) Are there any distractions preventing me from performing at my very best? You’re all set up now. You know exactly what you want to do, you have your intentions purified and you have discovered the best way to do it.. then why do you feel you’re not getting it right? Is there any recurrent thought that is monopolizing your attention? Is there any strong emotion that is not allowing you from fully concentrating on the subject? Are you in the best environment to undertake the task? If there’s anything else that is distracting you (a thought, a person)? Take note of it. Write down the persisting idea or question that came into your mind and say to yourself you will take care of the issue as soon as you finish your task. If it’s a person (besides your parents), politely inform her/him that you will be ready to help right after you’re done. Usually taking out of our mind and onto a paper our thoughts is enough to ‘make space’ for your primary goal. If you have other questions or techniques that help you be more productive during work we are very interested to learn about it in the comment section below inshaAllah!